*At the end of the agreement there are three options: i) pay the optional final payment and own the vehicle; ii) return the vehicle: subject to excess mileage and fair wear and tear, charges may apply; or iii) replace: part exchange the vehicle. With Solutions Personal Contract Plan. Can consist of a contribution towards the cash price and a contribution towards the deposit (Please see Audi Centre for details). 18s+. Subject to availability and status. T&Cs apply. Offer available when ordered by 30/06/2019 from participating Centres. Indemnities may be required. Offers are not available in conjunction with any other offer and may be varied or withdrawn at any time. Accurate at time of publication [April 2019]. Freepost Audi Financial Services. At Drift Bridge Audi in Epsom and Walton-on-Thames, we have a fully stocked showroom of the latest cars, used models and a state-of-the-art workshop. 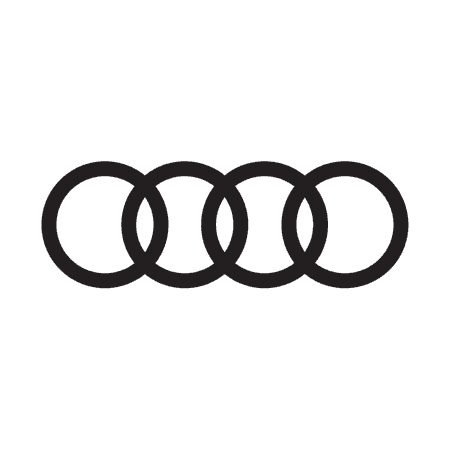 We have been representing Audi since 1974 and are proud to continue selling the premium cars. As we are a family-run business that’s grown over the decades, we work closely with all our customers. It is our aim to see everyone our showroom smiling in their Audi, and most of our business comes from people returning time and time again. Whether you are a looking for a car through the Motability scheme, need a fleet of Audis for your business or simply want a stylish and sporty car to drive, we can help. Our sales team has extensive knowledge in the brand and can advise you on the different models and competitive finance options. Visit us at your nearest showroom to browse the full Audi range and to enjoy taking one out for a test drive. We are confident that there is an Audi to suit every driver with practical models such as the A1 hatchback and Q3 crossover, to sportier options such as the TT or the A7 coupé. At the showroom, our fully-equipped workshop will ensure your Audi lives a long and healthy life. Servicing, MOTs and repairs can all be taken care of, and our technicians will use the latest diagnostic and repair tools to ensure that no mechanical problem goes undetected. We pride ourselves on quality, which is evident in everything we do. From welcoming you to our pristine showrooms to offering genuine advice and carrying out specialist repairs. Have a look at what we can do by exploring our website. Discover special deals, see the latest developments from Audi and find out how we can look after your Audi. You can contact us by phone, or online via the enquiry form or Live Chat, to make an appointment or to ask any questions.